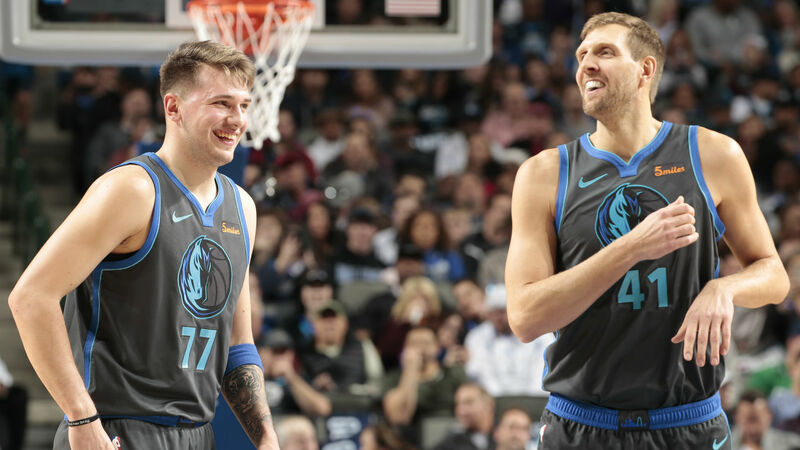 Like many fans in Europe, Dirk also saw Luka Doncic’s success story coming, before the season started. Back in September, he even said that he thinks Doncic is better than he was at this age, and most likely is right. Yesterday, the two teammates turned into a player-coach tandem for the Rising Stars Challenge. Dirk was coaching Team World, the team Luka was playing for. Before the game, Dirk talked to his players in the locker room and roasted Luka in front of the other players.